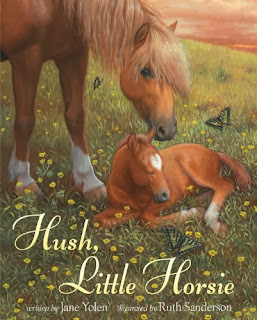 To continue our horse theme this month, we have Hush, Little Horsie, a board book by prolific megastar author, Jane Yolen. The traditional style illustrations are jewel-like and will especially interest totz who are enamored with horses. 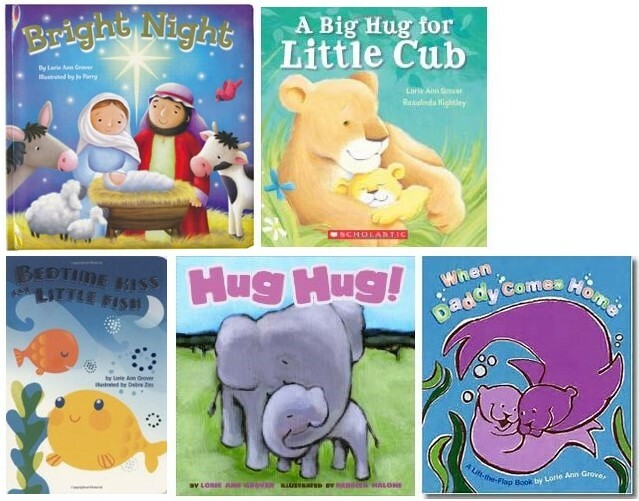 Interesting that our two books chose to spell the titles differently: horsey/horsie. In this clever take-off on the lullaby: Hush, Little Baby, mama horses promise to watch over their little horsies as they frolic and play and, eventually, fall asleep. This could be sung at bedtime to your totz. 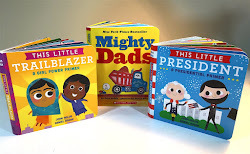 A sweet book!